Sintron Electronics (P) Ltd is in the field of providing world class Hearing Aid instruments in Cooperation with Siemens Medical Instruments, Erlangen, Germany. Sintron was established in the year 1970 under the expert guidance of Late Mr.S.Singh Aneja. Since then Sintron has grown and expanded its branch offices in New Delhi and Mumbai with its headquarters still based out of Chennai. 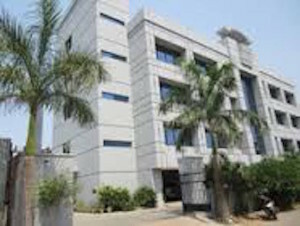 Sintron moved into its own state of art facility in the year 2008 in Dr. VSI Estate, OMR Road. We manufacture a wide range of Hearing Instruments & Accessories under our NOVAX Brand starting from Pocket/Body Worn models which are still very popular in India as well as Behind the ear (BTE) models. We also have a world class Custom Lab originally set up by Siemens in 1996 where our Trained Technicians customize highly sophisticated Wireless Type Hearing Instruments in all sizes like ITE (In The Ear), ITC (In The Canal) and Invisible CIC (Complete in Canal). Sintron’s Business Focus is on Developing & Supporting Hearing Health Solutions to the hearing impaired community while maintaining high quality standards and providing excellent customer and product support. Sintron’s Long term vision is to open state of art fitting centers in major metropolitan cities so that all hearing aids are fitted scientifically. Sintron is also looking to Expand and venture out into the neighboring countries which are still lagging behind India in this specialized field.